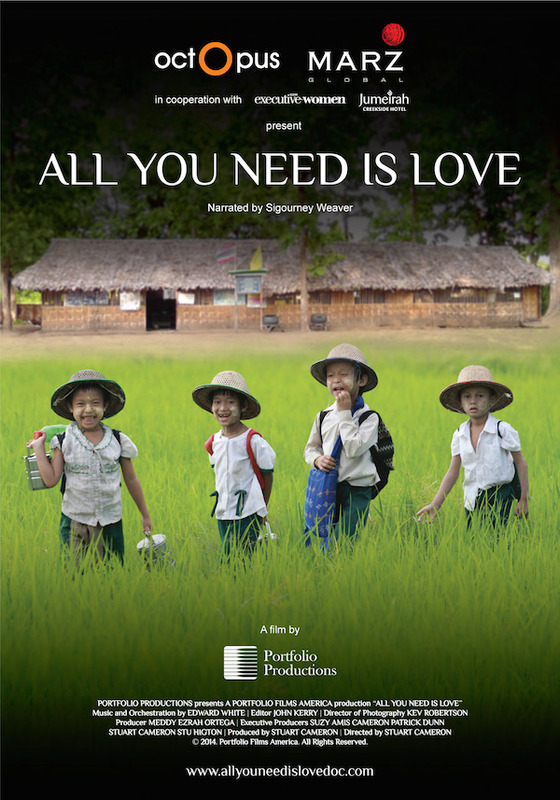 Produced by Portfolio Productions, ALL YOU NEED IS LOVE is a documentary focusing on the lives and dreams of the children of Good Morning School in the district of Mae Sot, Thailand. Mae Sot is a town on the Thai-Burma border, where hundreds of thousands of Burmese nationals have chosen to live as a result of the repressive actions taken by Burma’s military junta. They fled from Burma and escaped to Mae Sot and other towns along the border with the hope that they will be able to sustain their families and become free from fear. However, the vast majority of Burmese living on the border exist as migrants; some are refugees, trafficked people without nationality, rights, or any solid future. The Burmese children in Mae Sot have to face this harsh reality every day. The documentary highlights not just their plight, but mainly centres on the positive way that these children go about their lives in conditions and under circumstances we dare not even imagine. The beauty and simplicity of their day-to-day lives, serve as an inspiration. The Hollywood film ALL YOU NEED IS LOVE, by Portfolio Productions, is set to come to Dubai for a very special awareness screening on 15th June 2015. This has been made possible by octOpus and Marz Global, in cooperation with Jumeirah Creekside Hotel and Executive Women. In line with the corporate social responsibility program of octopus – as an ideas business; passionately believing that ideas can change and shape the world. The decision to make this film was an inspired idea in itself and by hosting this screening event it translates the core of what the company stands for. This exclusive screening aims to raise awareness, to provide the necessary support for the children’s schooling needs and to build schools, like that of Good Morning School. octOpus has been actively involved with the cause, even before its initial production. The agency took part in ALL YOU NEED IS LOVE’s marketing and promotions to assisting with the film’s trailer and creation of the different websites – from the movie’s microsite to establishing the US and UK based charities – and to building its social media presence. The company has previously sent a team to Mae Sot, for a Christmas celebration to deliver gifts to children. The upcoming screening is an expression of octOpus’ ongoing support for the children and the larger migrant community. ALL YOU NEED IS LOVE is Directed by Stuart Cameron, Produced by Stuart Cameron and Meddy Ezrah Ortega, Executive Produced by Suzy Amis Cameron, Patrick Dunn, and Stu Higton of octOpus.